Delivered the cloths for the Biggest Painting in the World to Higashikagura Town Board of Education, in Hokkaido. 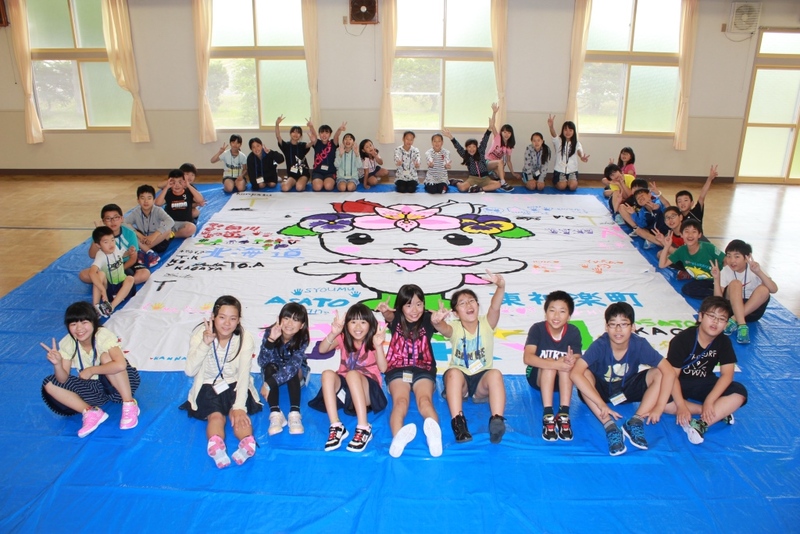 The Biggest Painting in the World 2020 Higashikagura Town was completed. I paid a courtesy visit to a town office of Higashikagura town in Hokkaido. I paid a courtesy visit to a town office of Higashikagura town in Hokkaido. 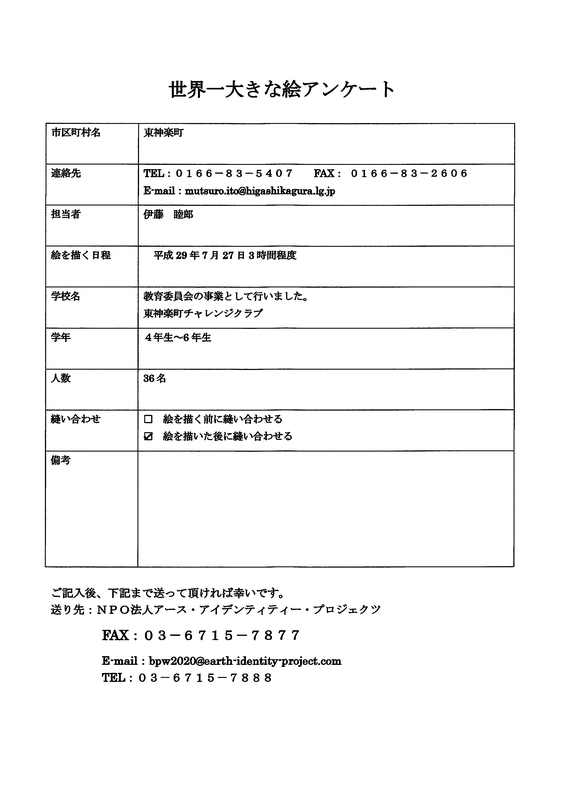 They will think about participating in the Biggest Painting in the World project. 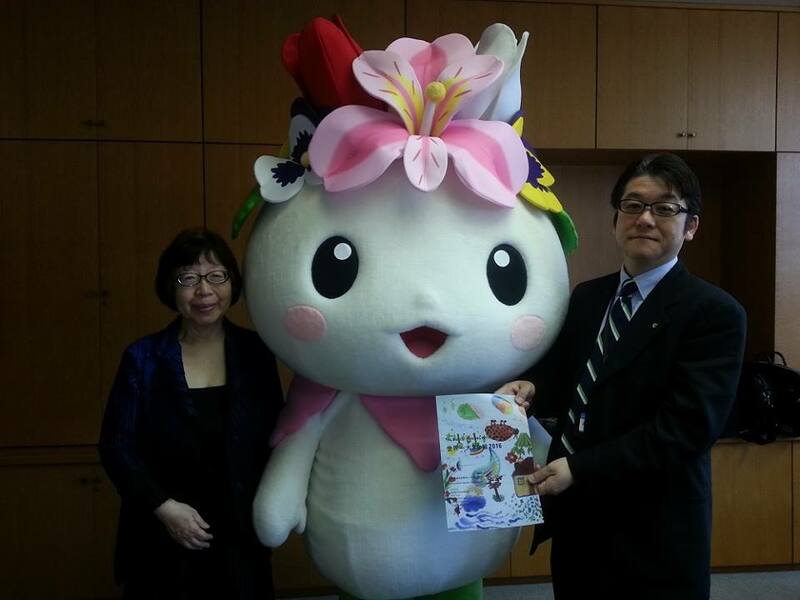 I took a ceremonial photograph with “Kagurakkie” a Higashikagura town mascot character and a town mayor Yamamoto.